The Ottawa Senators’ top two forwards, Matt Duchene and Mark Stone, are at a crossroads in their careers. 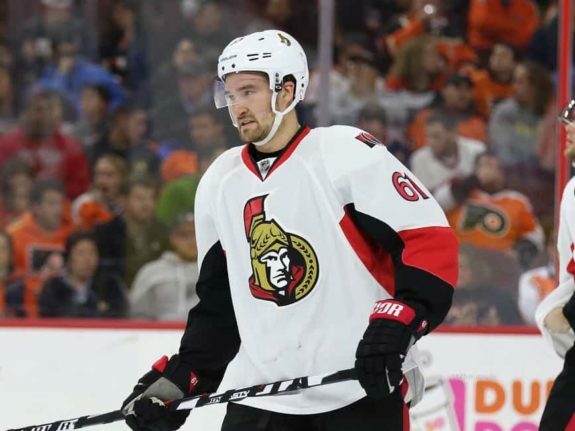 Both players are set to become unrestricted free agents at the end of the 2018-19 season and will be integral pieces in the Senators rebuild—whether they stick with the team or not. The team has a wealth of youth in its lineup, including rookies Brady Tkachuk, Alex Formenton, Colin White and Maxime Lajoie. Both Duchene and Stone are expected to help guide and mould these players into the next generation of Senators stars. While the veterans remain on the team, they will lead by example both on and off the ice to do just that. But at the same time as they are helping the next wave of NHL players grow accustomed to the next step, they’ll also be playing for themselves. With both of them in contract years, they will be looking to cash in July 1, 2019, on their next deals. With the Senators just starting their rebuild, it’s likely that those deals won’t be extensions in the nation’s capital. The more probable scenario for the veterans is that they are traded before the deadline this year. In this case, they will both still be helping the Senators with the return that these two will bring. If they aren’t traded, Ottawa risks losing these two elite, top-line players for nothing. Matt Duchene: Traded for the Second Year in a Row? To guess the return the Senators would get for Duchene, look no further than Nov. 5, 2017. The Senators acquired Duchene in a three-team trade with the Colorado Avalanche and Nashville Predators which saw Ottawa send Kyle Turris to Nashville and Andrew Hammond, Shane Bowers and a first- and third round pick to the Avs. Colorado also received Sam Girard, Vladislav Kamenev and a second-round pick from Nashville. If the Senators can get something close to this for the centreman, it would be a win for the rebuild. The best-case scenario would be acquiring a first-round pick in 2019 since their’s is with Colorado for this coming year. Although it likely won’t be as high as their own pick will be. Duchene has proven himself in the NHL, collecting 201 goals and 477 points in 654 games heading into the 2018-19 season. Almost one year after the trade that brought him to Ottawa, Duchene’s value hasn’t changed much. He had a rough start with the Senators but finished the season with 23 goals and 49 points. From his time with the Avalanche, we know that the 2009 third overall pick wants to win. He didn’t want to go through a rebuild then and it can be assumed he doesn’t want to now, either. Back in Denver, Duchene discussed why he asked general manager Joe Sakic for a trade. 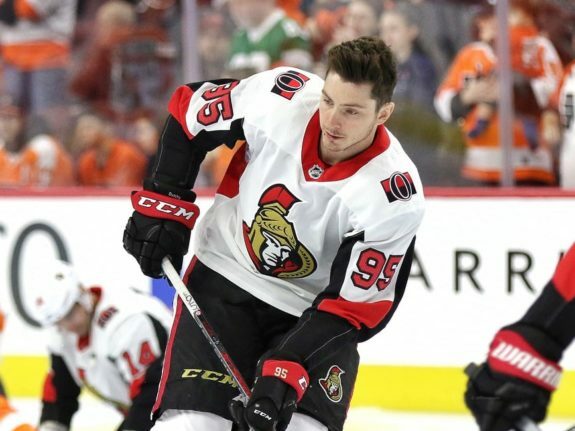 With the Senators entering their rebuild and Duchene with just one year on his contract, it would be in the team’s best interest to move the veteran before risking losing him for nothing in the summer. The return could do wonders for the rebuild. Will Stone Leave the Only Team He’s Known? 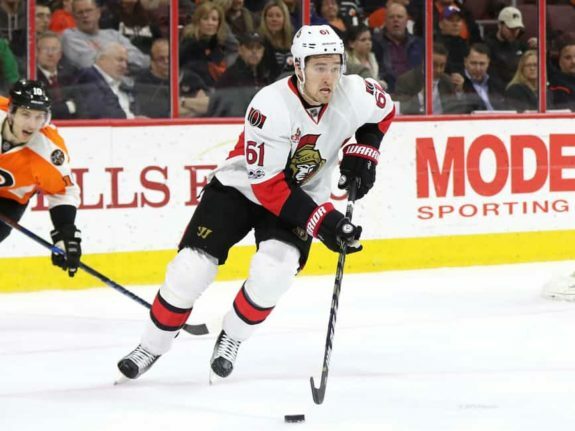 Mark Stone was drafted by the Senators in 2010, all the way in the sixth round. In his four full seasons with the team, he has 64, 61, 54 and 62 points. The Ottawa scouts earned their money with this pick, getting a star in Stone. It looks as though the Stone era may be coming to an end, though. After going to arbitration this summer, Stone was awarded a one-year, $7.35-million contract after he asked for $9 million. If the right winger wants to stay, the Senators will need to raise that salary closer to his arbitration ask, something they don’t typically like to do. He might even be the next captain of the team if he chooses to stick out the rebuild at stay in the nation’s capital. If he wants out, or simply the Sens doesn’t want to meet his contract demands, the team should trade him this season before the deadline. Stone has become a star on a team that never spends all the way to the cap, to imagine him on a talent-heavy team would only heighten his ceiling. In comparison to Duchene, Stone could potentially bring in more of a return from a trade. He has higher point totals season after season and is a year younger. It would be tough for Senators’ fans to see him go, but after seeing Erik Karlsson traded, Sens Nation can take it. While Duchene and Stone remain in Ottawa, they are excellent leaders and veterans on a team in need of just that. But come trade deadline, if the Senators are as bad as many think they will be, expect the team to move both players. The potential trades have the chance to bring in monster returns for the organization and could accelerate the rebuild. Otherwise, both of these star players could walk away from the team in free agency for nothing.